We are pleased to announce that Joe Sorensen has joined Strongwell in the position of Process Engineer at our Chatfield facility. 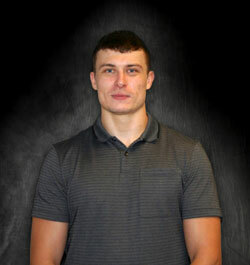 Joe graduated from Winona State University in May, majoring in Composite Materials Engineering. Joe was born and raised in the small town of Mazeppa, Minnesota, where he currently resides. During his childhood, Joe was active in the Boy Scouts of America, where he achieved the rank of Eagle Scout. In high school, Joe participated in football, wrestling, and track and field at Zumbrota-Mazeppa High School and while attending WSU, he partook in rugby. In his free time, Joe enjoys the outdoors, hunting, fishing and spending time with family and friends. Please join us in welcoming Joe to Strongwell.